Yes it is that time of year again for our annual trek out to Hein Bank on Sunday, May 2 - the event this year is timed so that you can ride the ebb out Guemes Channel and the flood on your return. 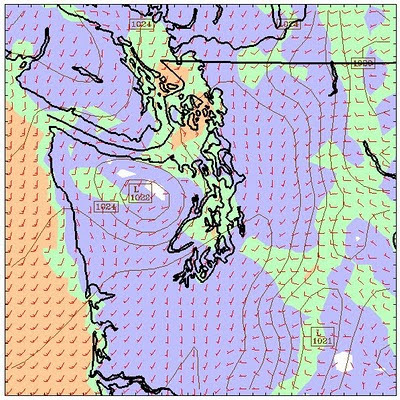 The current weather is looking great - partially sunny with light to moderate SE winds. 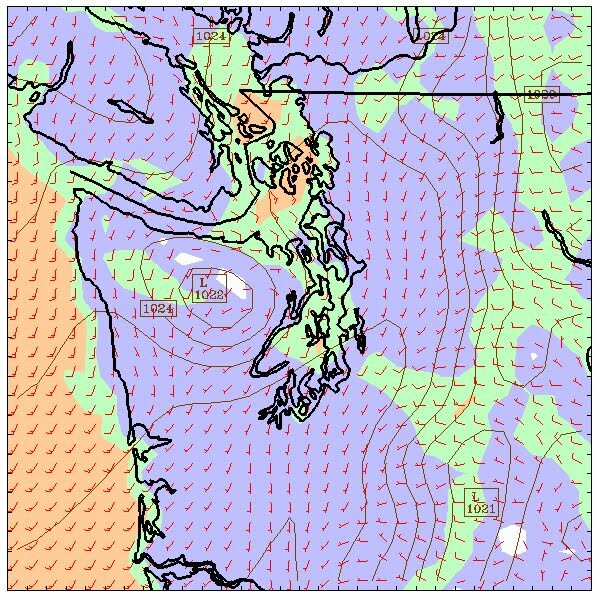 Unlike last year when only one boat was able to finish, this year everyone should be able to finish - here is a picture of what the weather is predicted to be like around 11:00am (taken from the UW MM5 wind forecast).